Have you tasted one of our scrumptious homemade pies? Generously filled with fresh, local ingredients, a shortcrust base and our famous puff pastry lid. Whether you fancy a pint or two and some banter at the bar, a read of the paper with a glass of wine and a sandwich, a slap up meal with family and friends, or a big night out at one of our phenominally successful Maids LIVE! 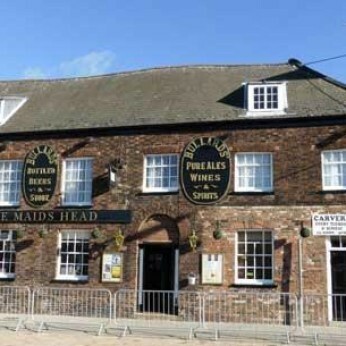 Music events...Welcome to this much loved pub in the historic centre of Kings Lynn.